Below is a sampling of jury verdicts and settlements with State Farm around the country. These results might give you a lens to the value of your own case. How did we generate this list? We created this list from a variety of sources, including our law firm's own settlements and verdicts with State Farm in Maryland. There is not any scientific methodology to the case selected, and these do not necessarily reflect the trial or settlement value of your claim against a State Farm insured. We have turned a blind eye to some defense verdicts and other verdicts that we did not find particularly compelling. More importantly, there are clearly too many different variables at play when looking at what State Farm will payout in a traffic collision injury case to squeeze in a brief post-resolution synopsis. That said, we think this information will be of assistance to you giving you a better idea of the range of money you can expect to get in a settlement or a lawsuit this insurance company. How does this insurance company value claims? How much should you expect as a first offer from State Farm? Miller & Zois statistics in Maryland that provide State Farm's first settlement offer based on different amounts of medical bills. Maryland: $560,000 Settlement. Plaintiff is broadsided in Baltimore County. Defendant's expert claimed she had a mere back sprain but admitted the injury is permanent. Still, State Farm refused to make any offer in the claim until ten days before trial. Miller & Zois handled this case which settled just days before trial in 2015. Maryland: $291,000 Verdict. Plaintiff is driving home from work in rush hour traffic and gets rear ended. She suffers an annular tear in her back. State Farm offered $8,200. How it computed that number remains a mystery. Miller & Zois handled this case. The verdict was 35 times more than the offer. You can get the full trial transcript from this case here. Maryland: $216,859.00 Verdict. Defendant driver leaves St. Agnes Hospital emergency room in Baltimore just minutes before the car crash, and just after taking Oxycodone for a minor surgical procedure and is told not to drive. He passes out behind the wheel of his pick-up truck and plows Plaintiff’s vehicle into the center jersey wall. Plaintiff, a sweet 38-year-old woman, suffers a shoulder impingement syndrome and undergoes arthroscopic shoulder surgery which includes a biceps tenotomy. MRI of lumbar spine two months post-collision revealed two disc herniations and degenerative disc disease. Treatment includes physical therapy and lumbar spine injections. State Farm fights on liability and Plaintiff's past medical history which included shoulder complaints, lower back complaints, and diagnosis of degenerated disc disease. Past medical expenses total $26,597.00, past lost wages total $6,346.00, future lost wages total $3,916.00. Plaintiff demands liability policy limits of $100,000.00 to settle well in advance of trial and on the morning of trial. Defendant denies liability until the morning of trial claiming sudden medical emergency/incapacity. Defendant offered $25,000.00 to settle the case four days before trial. The case went to trial on owner’s negligent entrustment and damages. The jury, a Towson, Baltimore County jury that has a reputation for being conservative on damages, did not agree with State Farm, awarding damages more than eight times the settlement offer. Miller & Zois also handled this case. Maryland: $448,116 Combined Verdict. Husband and wife are on their way home when they are violently rear-ended by Defendant. The husband sustains a humerus fracture of his non-dominant arm, requiring a closed reduction. The wife injuries are much worse. She suffers a torn rotator cuff of her dominant shoulder, requiring two surgeries and an eventual shoulder replacement, permanently reducing her range of motion. She additionally sustains a lumbar compression fracture, also requiring surgery. She needs extensive treatment and is unable to drive. Her husband is unable to return to his post-retirement job to care for his wife. The suit is filed against the State Farm insured defendant and the plaintiff’s UIM carrier, GEICO. The defendant is found at fault at the trial. A jury awards the wife $84,464, in past medical bills, with $291,600 in past and future non-economic. The husband is awarded $8,051 for past medical care, $14,000 in lost wages, and $50,000 in past and future non-economic damages. The total award is $448,116 which is reduced to the available limits of $100,000. Why? I am not sure. State Farm usually pays on judgments that go over the insurance policy. It has done this with other Miller & Zois cases listed here that exceeded the policy under their "good neighbor" policy. Maybe plaintiff's counsel made an agreement in advance to cap the verdict at the insurance policy. Maryland. $89,483.87 Verdict. Plaintiff is rear-ended by a commercial vehicle on the Washington Beltway, suffering a cervical disc injury that led to a cervical discectomy and fusion surgery at C3-4, C4-5, and C5-6. Miller & Zois handled this case. Maryland Settlement for $290,000. A 40-year-old restaurant manager suffers disc injury in her lower back at L5 after a double impact chain reaction rear end accident in Anne Arundel County. She has a negative MRI, but her surgeon found a bone fragment leaning up against a disc during a discectomy. A State Farm insured is one of the rear-ending drivers. The pre-suit offer was $70,000. Miller & Zois handled this case. New York: $425,000 Verdict. A 47-year-old man is injured in a car accident and is taken to the ER. Plaintiff alleges in his lawsuit that he suffers disc herniations at L3-4, L4-5, and L5-S1 and that he also has disc protrusions of his C3-4, C5-6, and C6-7 that impinged on a nerve root causing shooting pain. Plaintiff, a retiree somehow at 47, goes to a chiropractor for a long time: two-and-a-half years. Underscoring the perils of high/low agreements, the plaintiff's verdict is limited to $100,000 under a pre-trial agreement to cap the damages at the amount. Maine: $525,000 Verdict. Plaintiff, a 56-year-old woman, is rear-ended by an SUV on Route 1 while driving her father home from the hospital. She suffers permanent injuries to her back. State Farm, as it is wont to do, argued the injuries were not related to the car crash. The jury disagreed, obviously. Washington, D.C.: $1.9 Million Verdict. A 28-year-old woman is struck in an intersection by a vehicle that disregarded a traffic sign and proceeded illegally into the intersection. Plaintiff sustains a concussion and begins to experience pain from two previously asymptomatic back conditions, permanently limiting her daily life’s activities and earning capacity. Surgery is recommended, but not yet obtained. Plaintiff demands policy limits of 100k; Defendant offers $20,000 to settle. Bad choice. Case proceeds to trial where the Plaintiff is given a $1.9 million payout. New York: $100,000 Settlement. A 52-year-old laboratory’s facilities manager is rear-ended while stopped in traffic and undergoes arthroscopic surgery on her left shoulder, followed by twelve months of physical therapy. Plaintiff is granted summary judgment on the issue of liability and the case proceeds to trial on the damages. Plaintiff acknowledges a good recovery, but claims that she is unable to resume playing competitive volleyball. Defense counsel claims that plaintiff did not sustain a serious injury. On the third day of trial, the parties negotiate a settlement of $100,000, defendant’s policy limits. Maryland $220,000 Settlement. Plaintiff is driving down Route 95 in Howard County. She notices a car lost control a half mile ahead. Plaintiff pulls completely off the road on the left side to render assistance. She gets out of the car and is hit by another driver. Plaintiff has a concussion and requires a metal disc and pin in her arm. State Farm was the at-fault driver's insurer; Plaintiff had additional underinsured motorist insurance with USAA. Our law firm handled this accident claim. Our lawyers have won literally millions of dollars in settlements and verdicts against State Farm. Learn more about dealing with State Farm in car, truck, and motorcycle accidents here. Settlement in Maryland for $170,000. Plaintiff is traveling on Route 97 in Carroll County when he approaches a non-functional traffic light. Defendant does realize the light was not working and drives through it. Defendant contends that Plaintiff is contributorily negligent for failing to proceed with care through broken traffic light. Plaintiff suffers a broken femur and severely bruised feet, among other injuries. State Farm, the driver's insurance company tenders their policy limits. The rest is recovered from the uninsured motorist carrier (Cincinnati Insurance). Our law firm handled this claim. Verdict in Maryland for $194,568. A husband and wife are rear-ended by a company truck while stopped for traffic on I 495. The case was contested on liability and damages. Defendants contended that the Plaintiff Driver stopped short on the roadway, causing the collision. Husband suffers a cervical disc injury requiring a surgery. Montgomery County Jury awards husband $89,483.87 for past medical expenses; $10,080 for past lost wages; and $75,000 for non-economic damages. Jury awards wife $20,000 for non-economic damages. Our law firm handled this case. 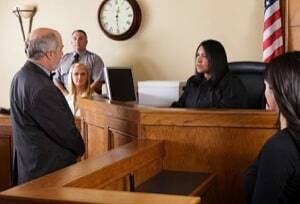 Maryland: Jury Verdict in Maryland for $106,226. A Howard County, Maryland jury awarded $106,226 in a left turn case to a woman who suffered a herniated disc in her neck. She sustained the disc injury in the underlying accident. Plaintiff's case was weakened somewhat by the fact that her social security disability claim was for both this accident and another unrelated injury. Allstate represented the driver; State Farm had the underinsured motorist claim. The verdict was reduced to $100,000 under high-low agreement. Verdict in Illinois for $22,366: A 58-year-old plaintiff is involved in a four-car chain reaction, rear-end collision. Four solid weeks after the accident - a treatment gap if there ever was one - plaintiff gets treatment. He is diagnosed as having a possible disc injury. Plaintiff has three months of physical therapy, and three months of facet injections. Plaintiff sought $43,308 in medical bills and $60,000 in pain and suffering damages. The defense's expert orthopedic surgeon probably carried the day when he testified that there was no evidence that plaintiff was injured or that it was related to the car wreck. $651,000 Verdict in California. Plaintiff is a passenger in a vehicle that was rear-ended in Los Angeles. Plaintiff suffers a subluxation to her rib. State Farm offered $29,000 to settle the case before trial. 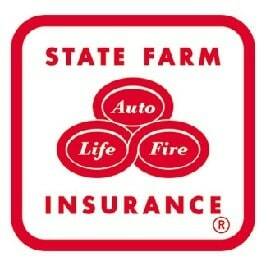 Get more 2012 State Farm trial outcomes and settlements. If you have been injured in a motor vehicle collision, we can you get the money and the justice you deserve. Call us at 800-553-8082 or get a free claim evaluation. "Don't handle you own file" is the advice we usually give. Because you are probably going to leave too much money on the table. But some victims will anyway. If this applies to you, here are some useful tips. Thoughts on handling your own property damage claim with the insurance company.